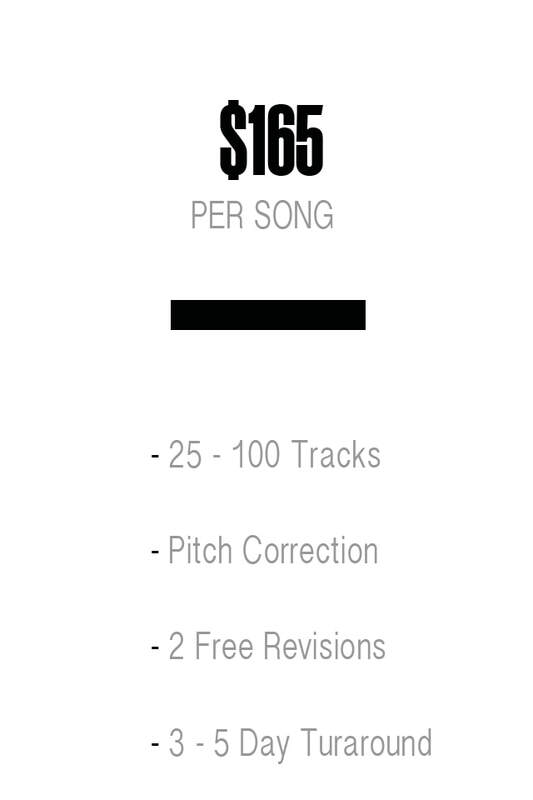 Below, are a couple examples of songs before the mix and after the mastering. Take a listen! Select the mixing service that works for you and click “Purchase Now”, you’ll be taken to our order form and then to Paypal for secure checkout. Once your checkout and payment is completed, you'll receive a confirmation email that includes the purchase summary and upload link.That’s it! 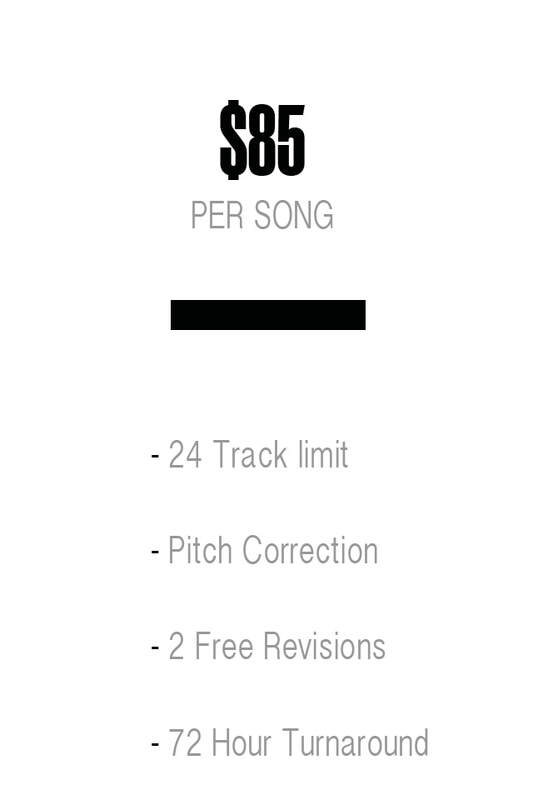 Your song will be mixed and mastered within 3 days. Guaranteed.